The snap lock pin steel frame is black powder-coated to maximize the life of the frame. Just snap the frame together, slip the heavy-duty double net (pillowcase style) over the frame and it is ready to use! When you are done with practice pull off the net, disassemble the frame and place everything in the carry bag for easy travel and/or storage. 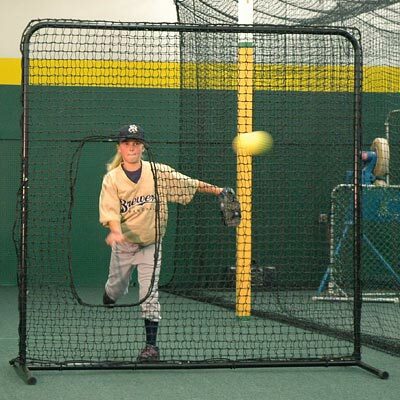 This Softball Pitching Screen can be used indoors or outdoors and is perfect for baseball, softball and T-ball use by teas, schools or just at home.